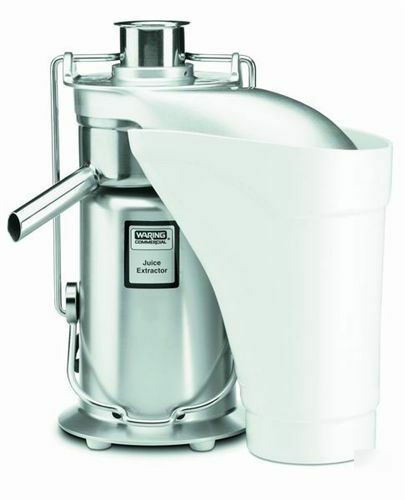 The Waring JE2000 High Volume Juice Extractor quickly and easily extracts large quantities of pure, healthy juice from vegetables and fruits. It's ideal for high-volume bars, restaurants, and health centers. It has the ability to yield more juice from the same fruit. It has a pulp ejection system that automatically separates the pulp from the juice while providing an impressive yield of juice and allows for uninterrupted use. * To view a specsheet for this product click here.